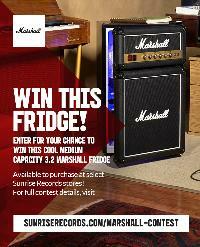 Prize: Marshall MF 3.2 Medium Capacity Bar Fridge. Approximate retail value of prize is $450.00 CAD. Statistics: This contest was opened by 131 and entered by 33 ContestChest.com members. 25% of those who opened the contest, entered it.